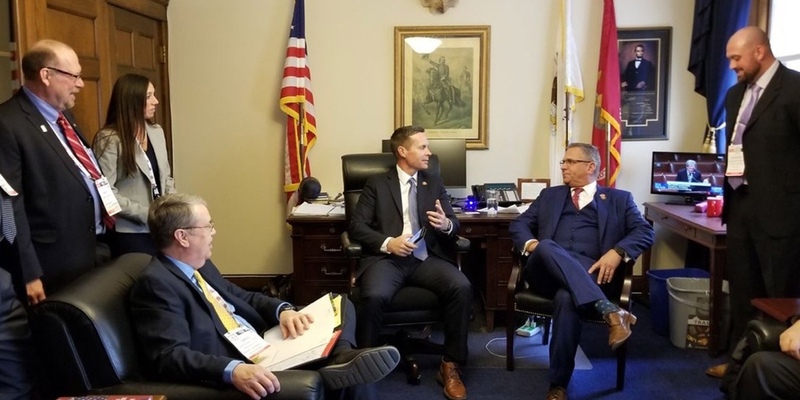 Illinois credit unions meet with Rep. Rodney Davis (R-Ill.) Wednesday during Hill visits at CUNA GAC. Davis also participated in on onstage discussion at CUNA GAC. Credit unions wrapped up another successful, record-breaking CUNA Governmental Affairs Conference Thursday with the last of their visits to Capitol Hill. During the week credit union advocates visited with every Congressional office to tell stories about the credit union difference and support legislation that would allow them to serve members better. And while leagues and credit unions were busy on social media documenting their travels, many elected officials also took the time to tweet thanks to their constituents for stopping by and telling them about the good work done in their communities.